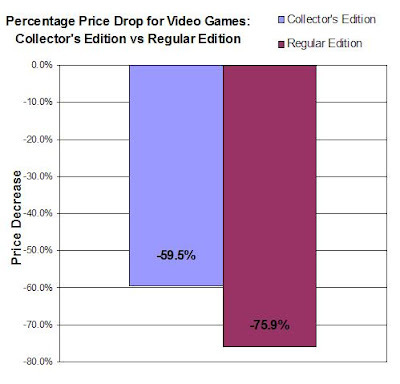 I would say collector's editions are also good for gamers because if a person just wants to play the game, the fact that a collectors edition exists will make the regular version cheaper / more affordable over time. You made this point in your article, but looking at the existence of collectors edition for those that have no interest in them, but still benefit from them, is another way to view the situation. Does that make sense? I see what you are saying. 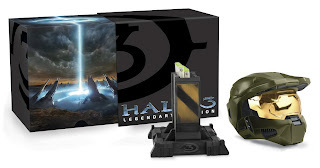 People who only want the regular edition game get some benefit from the collector's edition because of lower prices. Since many collectors pride themselves in having mint sealed video games, I'd love to know how sealed collector's editions fair over time compared to their opened counterparts. I collect mostly 8-bit Nintendo games, and collectors certainly pay outrageous prices for sealed games. Naturally those are older games and aren't collector's editions, but I'm wondering there's a trend there.